Synchronised telescopic hydraulic cylinders look and operate much the same as a telescopic hydraulic cylinder but with one major difference, all of the stages extend or retract at the same time. When the cylinder is in its fully closed state oil is trapped in the annulus area of all stages except the smallest stage. As oil is introduced to the full bore of the largest stage the piston rod on this stage begins to extend, this transfers the oil trapped in the annulus area of the largest stage into the full bore of the next stage. 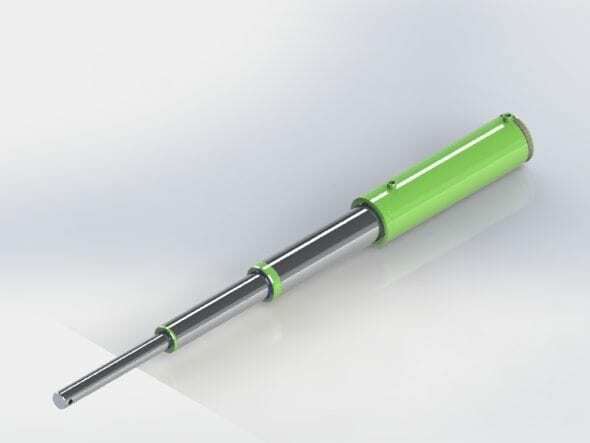 The transfer of oil causes the piston rod on the next stage to extend so that both piston rods are extending at the same time. This same principle occurs through all stages so that all piston rods are extending at the same time. In retraction it all works in reverse, so oil is introduced into the annulus of the smallest stage to retract the piston rod which transfers oil from the full bore of this stage to the annulus of the next stage up in size and so on so that all piston rods retract together. 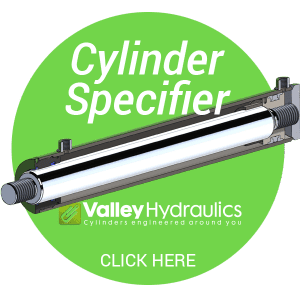 This means the cylinders maintain a constant speed whilst extending or retracting unlike the standard telescopic cylinders which change speed with each change in section.